Now, after three years of run-ins with the law, Ben’s dad has decided the only way to save Ben is to leave Spokane. 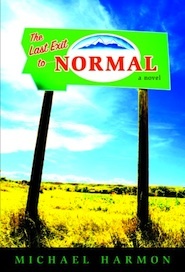 At age seventeen, city boy Ben finds himself living in Rough Butte, Montana. Edward, who Ben calls "Momdad", has agreed to take them back to the hometown he left when he was Ben’s age. In Rough Butte, Ben is surrounded by homophobic cowboys, Edward’s acid-tongued mother, Miss Mae, and an abusive neighbor with a strange young son.